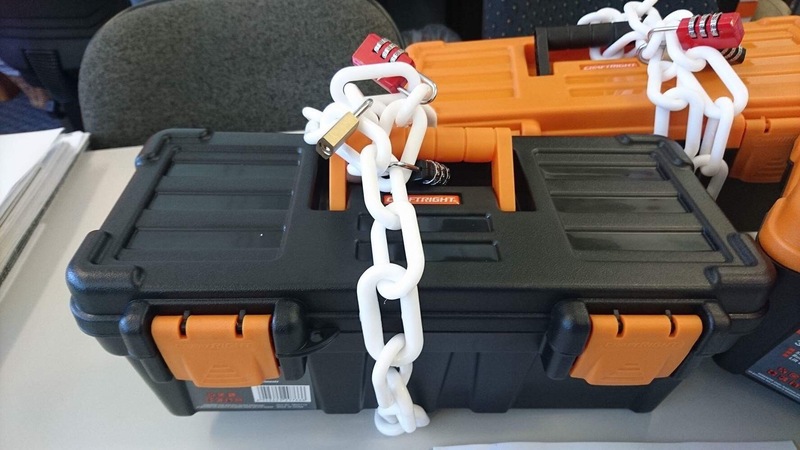 Tool box (Bunnings: $4): This is where the prize goes. Hasp (ebay: $4): this is to attach all the locks to. Key ring tags: (Reject Shop: 6 pack $2) To attach coded keys to. 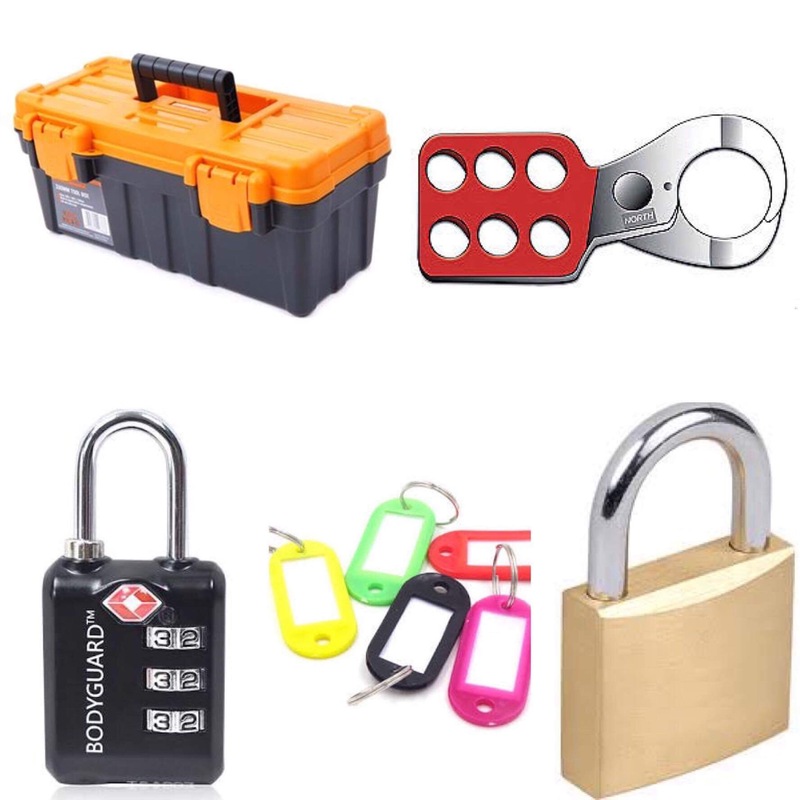 I am also hoping to add a black light, an alphabet padlock and a 4 digit padlock for future activities. For this particular breakout I wanted my students to consolidate their learning on pythagoras and trigonometry. For the activities I selected 3 to go with my locks. Logic Problems (bamboozables) you can find these in many search engines. The one I used was movie themed. Students were in groups of 6 and each pair took a problem to work through. For activities 1 and 2 students answer matched the combination on the lock. This did cause some issues depending on the rounding that students used. I did help students by checking if it was simply a rounding error or they had made an error elsewhere, mostly it was the later. Students were engaged and persisted to complete the task. It took the groups nearly an hour to unlock their box and get to the goodies inside. I can’t wait to try again this term and after doing an escape room this last holiday I have some new ideas too. Have you tried a breakout? Share below in the comments or on our facebook page. This entry was posted in Flipped Teaching, General Teaching and tagged activity, breakout, consolidation. Bookmark the permalink.